Just add water! 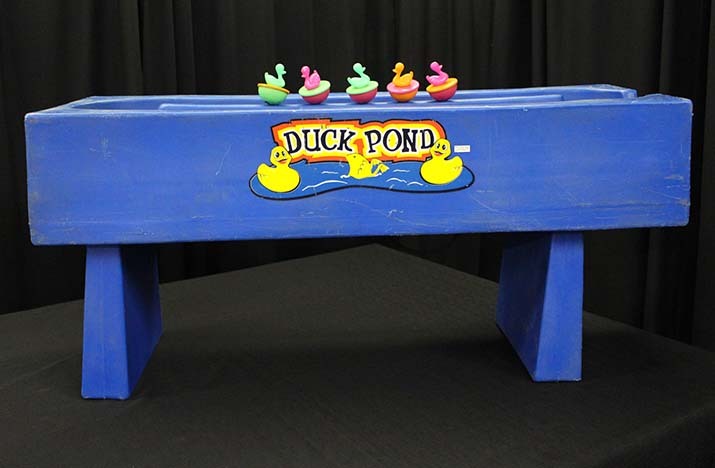 Duck Ponds are always very popular at fairs and festivals, now you can have this fun at your next event. Thirty-six numbered ducks float around the pond waiting to be caught. Lots of fun for all ages.